Author’s Note: I chose to interview Dr.LaSalle because of my interest in epigenetics and the relationship that our genes have with environmental interactions. Dr. LaSalle’s lab focuses on the role of epigenetics in the human autism-spectrum and many other neurodegenerative disorders. Her research group looks at the pathogenesis of the disorders by focusing on heritable changes that are not encoded in the DNA, such as DNA methylation and imprinted genes. It was an honor to get to talk to Dr. LaSalle about her research, as she is extremely passionate about this very complex and exciting topic. MH: What first got you interested in the research you do today? JS: My lab studies epigenetics and gene environment interaction, a topic I find of great interest because genetics is never completely deterministic. I started out with my PhD in Immunology, and then in my post-doctoral fellowship, I studied epigenetics of imprinted disorders, which do not fit Mendelian genetics. More recently, my lab has gotten into sequencing technology, as we are interested in the interface of gene-environment interactions at the epigenetics level. With this, we can use the sequencing technology to predict who might get a disease in the future. MH: You do research with genomic imprinting and DNA Methylation. Can you talk a bit about what that means and how it is used to understand how gene and environment interactions affect us? JS: DNA methylation seems to be perceived as an off switch for genes, but the revised way of seeing it is as a mark of past transcription, which gives clues for future transcription. We know that genes are methylated at the earliest stages of life, specifically during embryonic development. Differences in methylation can indicate previous transcription activity. An example of this is autism, where most of the environmental factors occur in utero. These changes cannot be sampled directly before birth. We can resort to sampling placenta or cord blood, which can give an idea of the changes that occurred before birth. I think of methylation as mining for clues, but it doesn’t mean that we’re going to find genes that are turned off by methylation. MH: Do you find when looking at DNA methylation, evidence of environmental impact on methylation that is not encoded in the gene? JS: That is our eventual goal. There are good examples of this, such as imprinted genes in oocytes or sperm. Oocytes may have certain transcripts that will be methylated on the maternal but not paternal chromosome, which is affected by the environment. The goal is to find other environmental exposures such as diet, etc. Folate is an important diet factor in methylation and can be found in prenatal vitamins, such as Vitamin B. Women are encouraged to take prenatal vitamins prior to pregnancy as it is protective for neural tube defects, autism, and schizophrenia. MH: What creates the spectrum in Autism Spectrum Disorder? JS: Autism has a wide spectrum of diagnoses and a single gene only makes about 1 percent of cases. One of the disorders that we research is Rett Syndrome, a rare genetic form of autism. I find it interesting how there is a spectrum within the cognition and severity of symptoms. There is a range of disease severity ranging from someone who has high functioning Asperger’s Syndrome, all the way down to someone who is nonverbal and may have an intellectual disability. This is where the gene environment interaction may come in. Genetically, you could say that one gene mutation is enough to cause autism, yet in a lot of cases the cause could be completely environmental. It is mostly a combination of multiple hits, common genetic variance combined together with environmental factors. 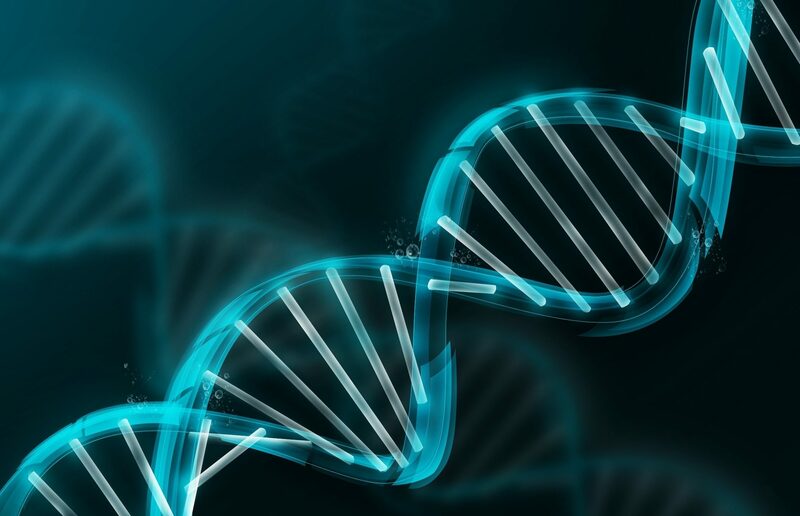 Our goal is to be able to provide a diagnosis based on a common epigenetic modification. With that, we could provide children with behavioral therapies to help them improve their skills since the brain is still very plastic. Even if a child is genetically predisposed to autism, interventions can improve the outcomes, which is pretty amazing. MH: How have you seen epigenetics change the healthcare field? JS: Epigenetics is changing the healthcare field by escaping the conventional genetic determinism. Personal genomics ideas, like 23andMe, are great, but most people are at risks for common disorders like obesity, diabetes, and autoimmune diseases. Epigenetics is so powerful because we can change one’s lifestyle to lower the risks of the disease. I think that prenatal vitamins use is a great example of this because it can serve as a preventative measure in patients with common polymorphisms. Ultimately, if one is at higher risk for a disease, they have to make your own decision in the modification of their lifestyle. I can see personal epigenetics combined with using epigenetic markers as a way to change the healthcare field. MH: Have you always been interested in the biotechnological side of research? JS: Great question. My generation would run sequencing gels and write out the base pairs by hand. The amount of data that we now are able to work with makes sequencing so important and exciting. Every time I turn around it is cheaper and faster to do. The challenge is that we get an immense amount of data that we have to handle. I do not know how to code myself, but many of my lab members have been able to pick it up. This is especially important in epigenetics because understanding what went into the biological sample is necessary to be able to analyze the data. My goal is to train students who are comfortable in both the science and the bioinformatics side. I think we really need the new generation of scientists feel comfortable with big data.